What Dauntarius Williams intended to be a Halloween prank turned into an FBI investigation. 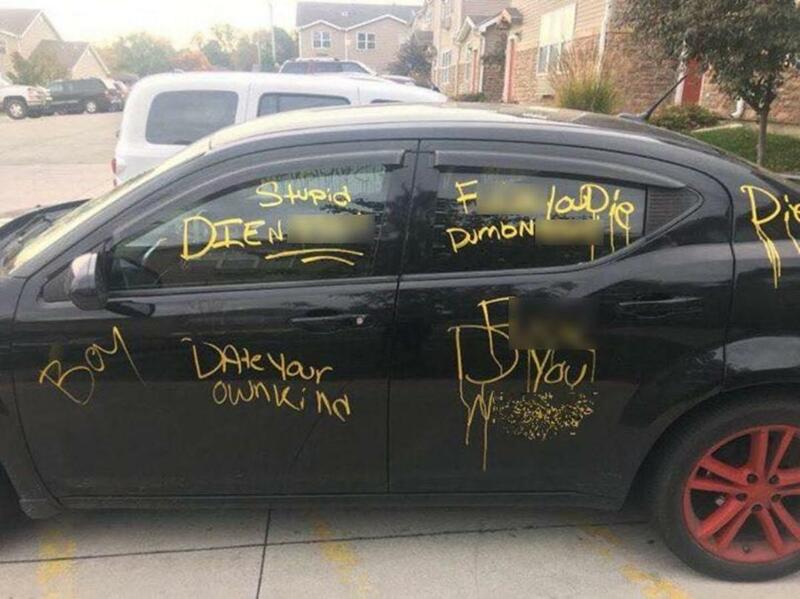 Photos of a black Dodge Avenger covered in graffiti that included messages such as “Go Home,” “Date your own kind,” “Die,” “N****r” and “Whites only,” began circulating on social media on Nov. 1, the Daily Mail reported. Police said Williams “expressed sincere regret that his actions had resulted in the negative media attention that resulted,” The Kansas City Star reported. 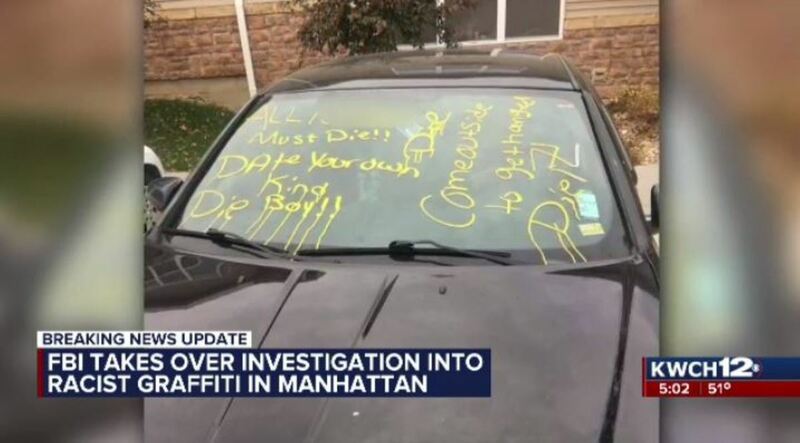 Police did not file any charges against 21-year-old Williams, fearing it would “not be in the best interests of the citizens” of Manhattan. 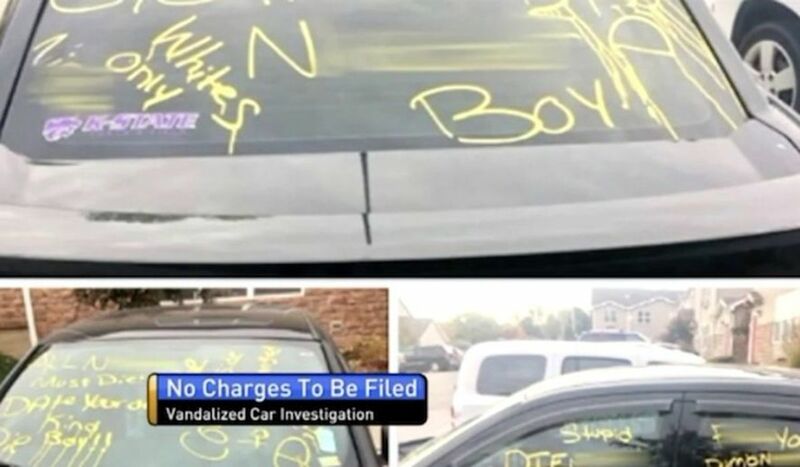 “While Williams’ mistake had a decidedly negative impact on the community, please recognize that he, like many of us when we were young, is a young man who made a mistake and is now doing his best to own up to it,” Police Director Brad Schoen told The Kansas City Star. Students were “outraged and hurt” to learn that the entire incident had been a sham.